Observation - Black Swan - UK and Ireland. Description: Black Swan, with orange ring, yellow coded Y226 at Fairburn Ings. Black Swans are escapees, but how established are they now? Black Swan, with orange ring, yellow coded Y226 at Fairburn Ings. 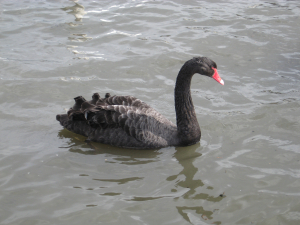 Black Swans are escapees, but how established are they now?